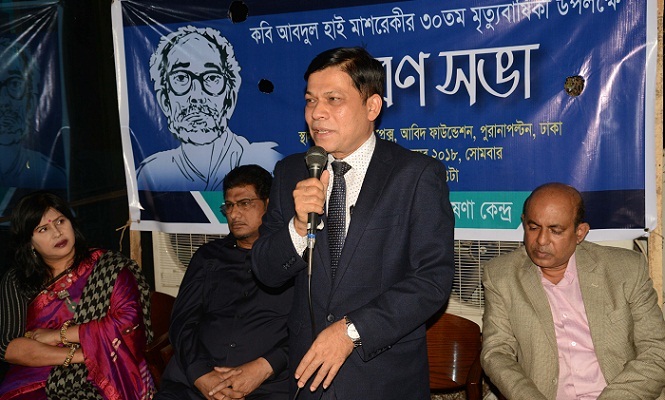 Poet Abdul Hai Mashreki was remembered on his the 30th death anniversary on Tuesday. To mark the day poet Abdul Hai Mashreki Research Centre arranged a discussion meeting in the capital’s Purana Paltan area on the day. Joint Chief of the division MD Zakir Hossain, Joint Director of Kochi Kanchar Mela Abu Taher Bokul, senior sub-editor of the daily Ittefaq Mohammad Al Mamun also spoke on the occasion, among others.